In 2017, for the third year in row, LFB participated in the SME Pact Barometer. This initiative assesses major groups’ commitment to SMEs through various quality indicators, including supplier relations, penalty management and compliance with contractual commitments. LFB received a score of 91%, compared to 86% in 2016, a reflection of the Group’s daily engagement and mobilisation. In December 2010, LFB signed the “Charte Relations fournisseur responsables” (“Responsible Supplier Relations Charter”), which governs LFB’s relations with suppliers and defines 10 Best Practices (broken down into 21 commitments), further integrating social and environmental responsibility into the economic life of the Group. 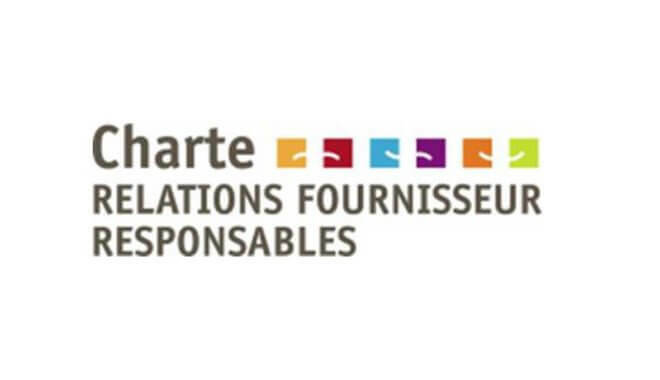 A “charte de bonne conduite achats” (“Good Practices Purchasing Charter”) was established under the “responsible supplier relations” provision, as was a general Purchasing-Expenditure procedure that incorporates principles relating to the prevention of corruption. The LFB Group drew up a Good Conduct Charter applying to all the Group’s companies and employees. The Group’s Legal & Compliance Department implemented a plan to prevent corruption, in accordance with the provisions of the so-called “Sapin II” law of December 2016. An anti-corruption code of conduct entered into force in 2018. It applies to all Group employees as well as external staff. All LFB companies and employees must also abide by the Group’s Charte Corporate RSE (CSR Charter). The fight against corruption is among the commitments outlined in this Charter, which was distributed to all employees in 2016. The CAHPP (a leading French public and private hospital purchasing group) recognises hospital industrial suppliers for their sustainable development achievements, or “green index” status. After being audited by the CAHPP in 2018, LFB BIOMEDICAMENTS earned the “green index” label and was awarded the A++ quality rating, the very highest supplier rating, for the third year in a row. The healthcare institution purchasing group, Helpévia, also recognised LFB’s status as a top pharmaceutical laboratory in terms of sustainable development. The group classified LFB as a category A laboratory and gave it a score of 19/20 (in 2018). These quality marks highlight LFB’s genuine progress in the area of CSR.